On Tuesday, Government Accountability Institute (GAI) President and Breitbart News Senior Editor-at-Large Peter Schweizer appeared on Fox & Friends and revealed that former Vice President Al Gore and other Obama cronies are cashing in on the Obamacare debacle. 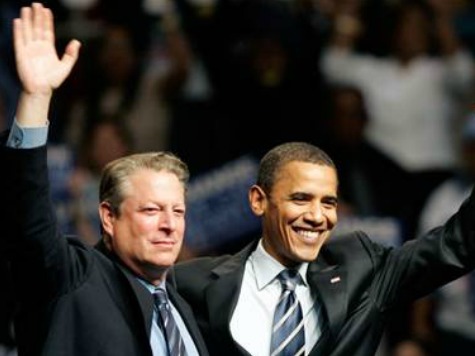 In 2004, David Blood and former Vice President Al Gore co-founded Generation Investment Management. Schweizer says despite the perception that Gore’s investments are all green energy-related, Blood and Gore’s investment portfolio is currently comprised of 27% health care investments and stands poised to score big from Obamacare. Blood bundled over $500,000 in campaign donations for Obama in 2012. Schweizer, whose new book Extortion debuted at number eight on the New York Times bestseller list, said other Obama fundraisers are also cashing in on the government health care overhaul. Even as 4.9 million Americans are losing their health insurance plans under Obamacare, Schweizer says top Obama campaign fundraisers and insiders stand to rake in millions. “It’s a great business for them because the law basically creates a market for products that didn’t exist before,” said Schweizer. “Your book, Extortion, is going to open a lot of eyes,” said Fox & Friends co-host Elisabeth Hasselbeck.